Most people are familiar with the traditional view of the role of ethics in the auditing profession – the need for auditors with integrity and objectivity. 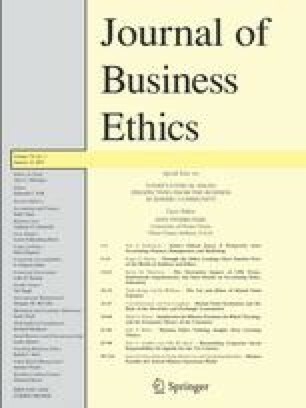 This essay addresses a second dimension of ethics in the auditing profession – the demand for auditors to assess the integrity and ethical values of clients. This second dimension is a difficult task for auditors in practice and demands a deep and robust understanding of ethics, ethical infrastructures, and the products of those infrastructures. The essay proposes how educators and researchers might facilitate that understanding. I thank Craig Lefanowicz, Ben Shenoy, Ann Tenbrunsel and participants at the 2005 Institute for Ethical Business Worldwide conference at the University of Notre Dame for their comments on earlier drafts of this paper, and students in GCOM 738 during summer, 2005 at the University of Virginia for their insights and enthusiasm about these topics.